Meet Luke! 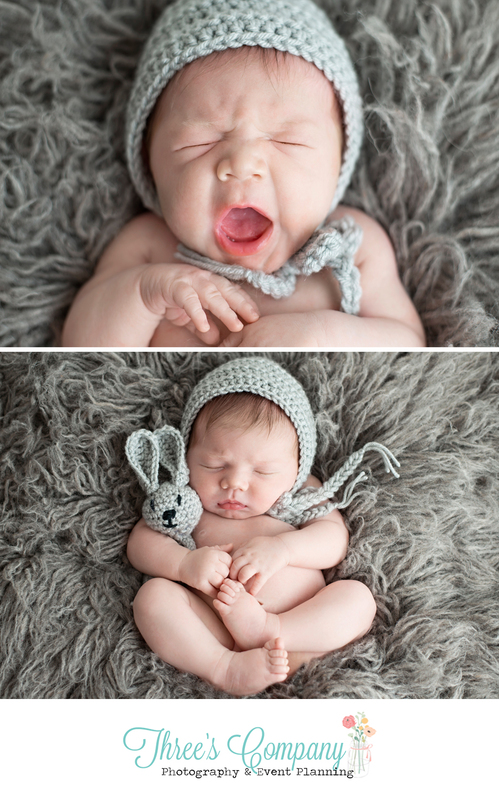 He was my first newborn photographed in the new studio here in Stafford, VA. So obviously I was beyond excited! He came to me at 12 days old with a full head of hair along with his mom, dad, and his very proud nana! Luke is the first grandchild from both families as well as a miracle baby! His wonderful parents drove over an hour to get to my studio and I am so honored and glad they did! From there it went fairly smoothly! Luke had a little bit of a hard time settling at first but once we got him in a sweet spot he slept like a dream! 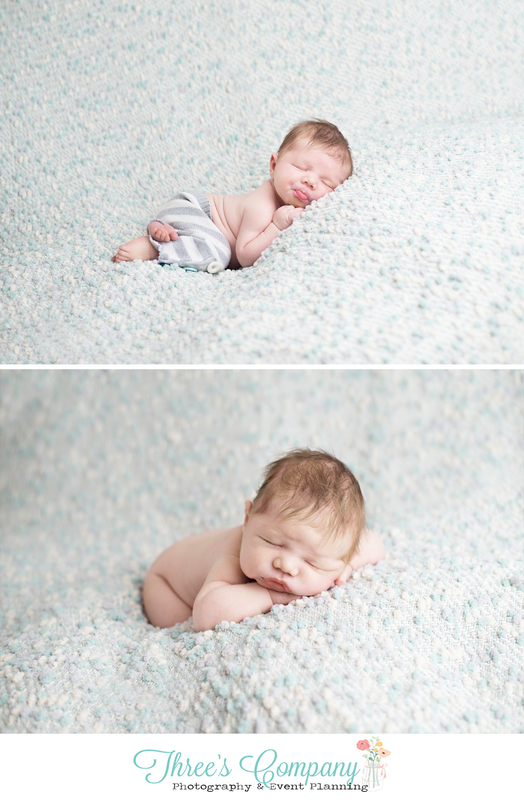 He was very willing to be curled up in those cuddly newborn poses! 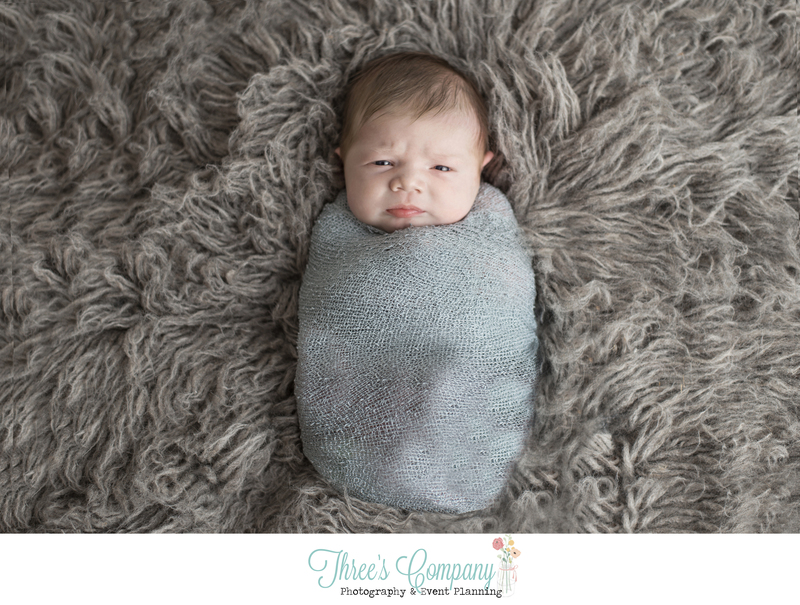 Newborn photography is my absolute passion, but being able to work with families as wonderful as this one make me realize why exactly I love newborn photography! 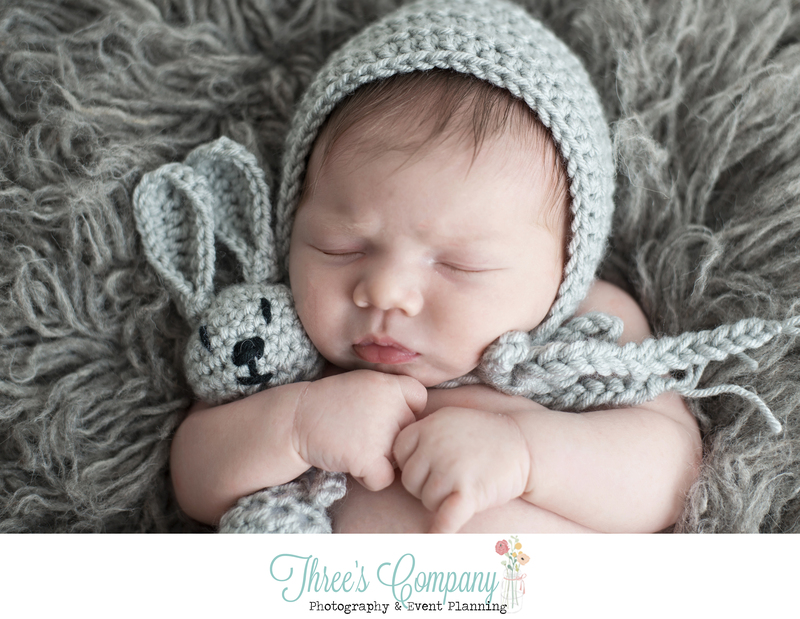 Yes I love newborn cuddles, and yes I love the overall artistic style to newborn photography but nothing makes me feel better then sending a gallery to a client and having them tell me that the photos brought tears to their eyes! That is why I love my job! Congrats again to Savannah and Darrell on your gorgeous baby boy! I can’t say enough how grateful I was to be given the opportunity to photograph him! Looking for a newborn photographer in the Stafford, Quantico, Fredericksburg, Woodbridge, DC,VA area? 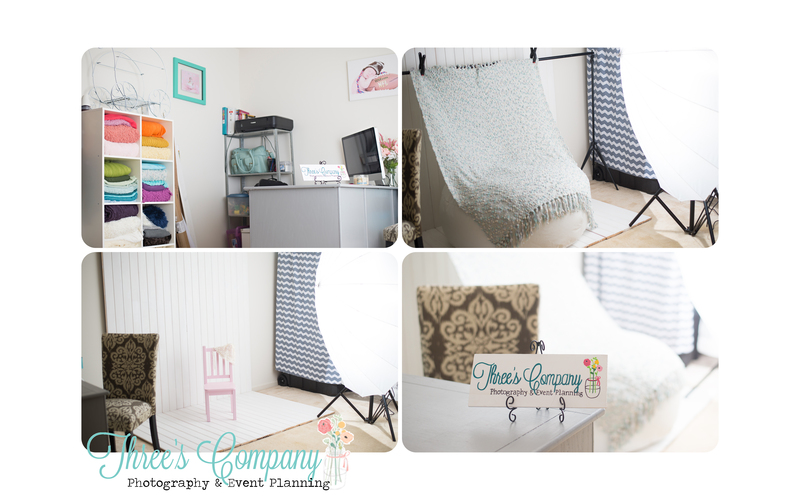 Please send me an email at Threescompanyphoto@gmail.com or head on over to our page! I pinky promise to be a much better blogger this year and to keep everyone up to date with everything thats been going on with Three’s Company Photography along with the new things coming your way! Everything from a brand new up to date website, new client welcome packets, investment sections and everything else brand new with brand! So please be patient with me! Firstly I would like to dedicate this very first blog post to a new beginning and new start for Three’s Company Photography! We just relocated to a brand new area, still trying to get used to the traffic has been a project in itself! If anyone lives in the Stafford, Quantico, Woodbridge, Fredericksburg areas you know exactly what I am talking about! So to start, we decided that it was time to be in an area where I could have my OWN STUDIO area! EICK! So excited to finally say that! No more taking props in and out of closets and then them overflowing to every other room in the house! No more having to spend hours on end breaking everything down after a session! No more scrambling around the house trying to find where my son or daughter hid one of my newborn props! Its awesome IM SO IN LOVE! Im lucky enough to have a great area where I have my office set up as well as my studio! All of my props are neatly stored, baskets are hung on the walls, newborn bonnets, and headbands decoratively hung up, blankets and backdrops in view and best of all the other side serves as my kids playroom so it allows me to work while watching my children play! Its the best of both worlds! It was defiantly a project to get everything unpacked and situated but thanks to one of my best friends I think we did a pretty great job! Tell me what you think!? I will be adding a lot more art work to the walls, but I’ve decided to wait to fill it up with photographs of all of my beautiful new clients from Northern Virginia! Behind those curtains is my children’s playroom! Love those hand made curtains (oh yes I have been a busy busy lady!) They hide all of the clutter!